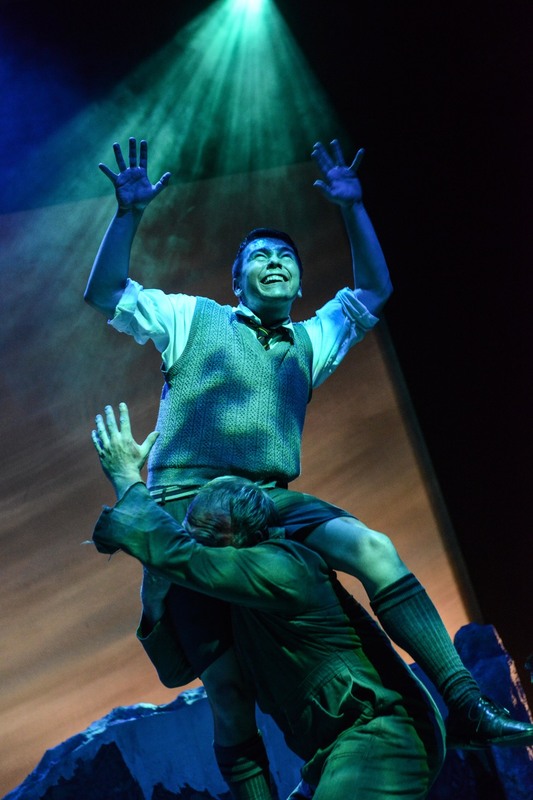 It may have been written originally as a children’s story but Michael Morpurgo’s Friend or Foe, adapted so cleverly for the stage by Daniel Buckroyd, has a universal appeal that will charm audiences of all ages. Set in the early months of World War II school friends David and Tucky are evacuated, along with the rest of their school friends, from bomb-torn London to a peaceful life on a Devonshire farm with a kindly couple. But their new world, which has seemed so far removed from the fighting and destruction they’d become used to, is suddenly thrown into turmoil when they witness a German bomber ditching on the nearby moor. What starts as an adventure to find the wreckage soon turns into a moral dilemma as they come face to face with ‘the enemy’. From the outset the sheer versatility of the company is apparent as the numerous characters are played by just five actors. 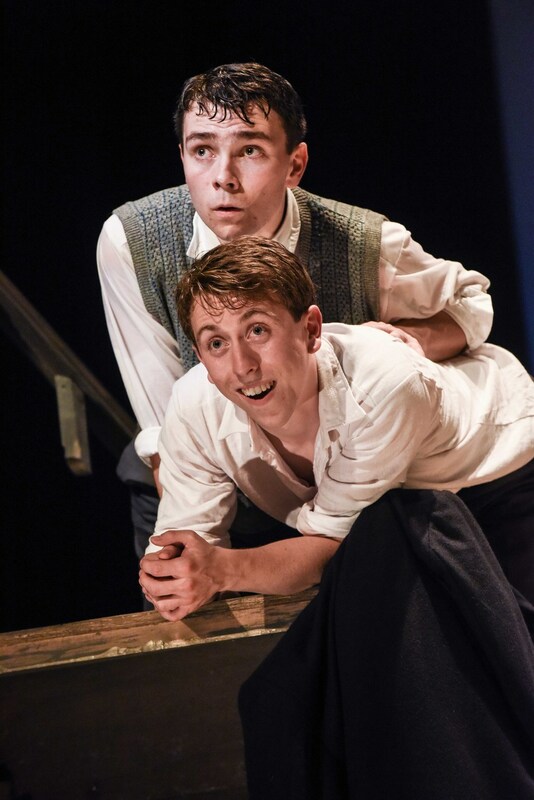 Séan Aydon (Tucky) and Jake Davies (David) are completely convincing as school boys throughout, never wavering from their youthful tones and physicality. Both Nicholas Tizzard and Chris Porter bring each of their numerous characters independently to life with apparently unbelievable ease while Janet Greaves brings an incredible mixture of warmth and influence with all three of her strong female roles. However, at the centre of the action is a set that, at first glance, appears ridiculously simple but is in fact verging on genius. 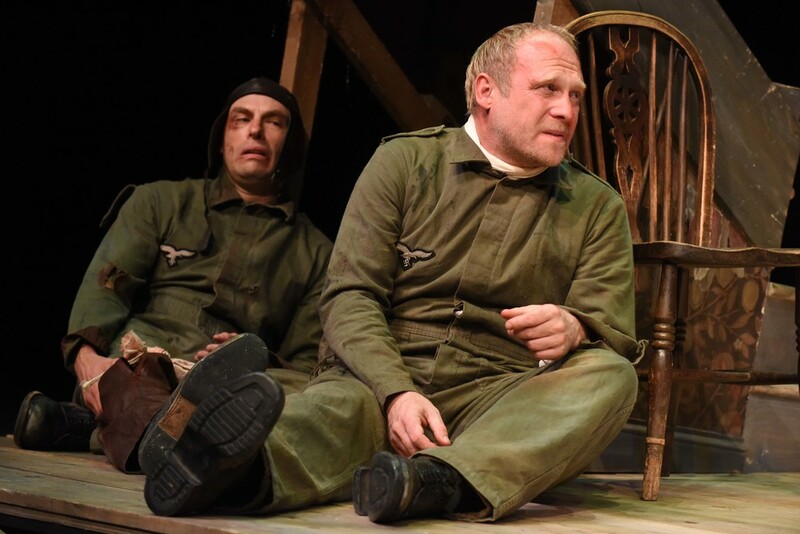 Coupled with imaginative lighting, subtle effects and some humorous touches we care transported from a station, to a church hall, then a farm kitchen and even a moor and river without a single scenery change. 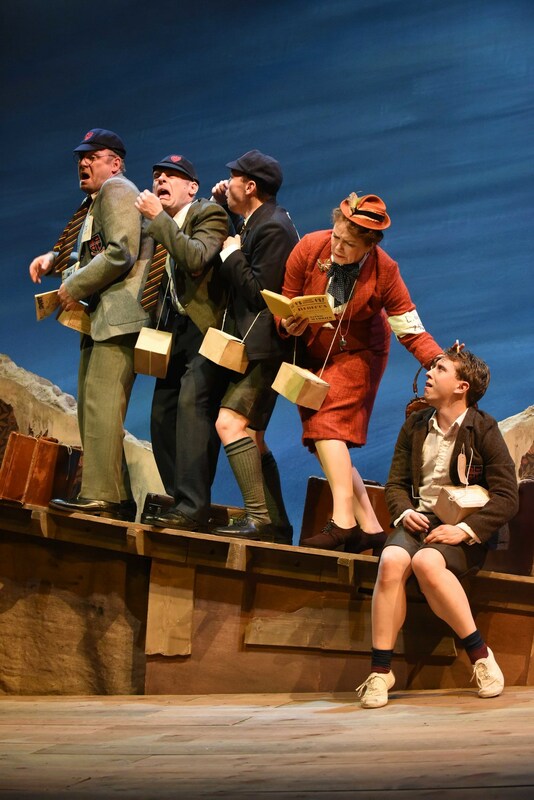 Matthew Cullum’s skilful direction has us completely convinced by the actors and their surroundings, right down to their finely choreographed moves as they travel by virtually every mode of transport to hand. A thoroughly heart-warming evening of theatre for all.